This is one of the coolest items we have seen this year. 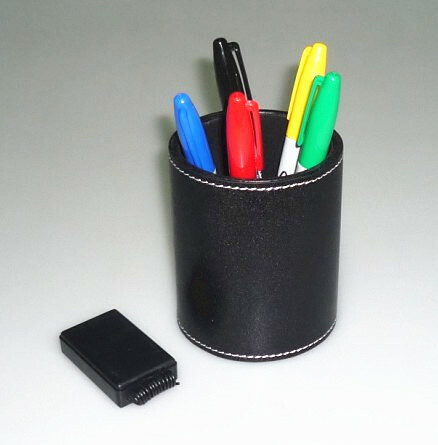 Five different color pens are displayed in a holder. A volunteer is given a drawing and is asked to choose a marker. They are instructed to color a portion of the drawing. This is repeated with the other color markers. When the drawing is complete the volunteer opens an envelope which has been in full view the entire time. The envelope contains a duplicate of the drawing the color choices match exactly. The performer has his back turned during the color selections. The performer does not see what markers the volunteer is using. Another presentation is to have the volunteer and the performer stand back to back. The volunteer is asked to choose a marker and draw a symbol (square, circle, etc..) The performer is able to duplicate the color choices. No assistants or stooges are used. This is a hi-tech electronic device. Comes complete with 5 color sharpies (all write and are fully examinable). 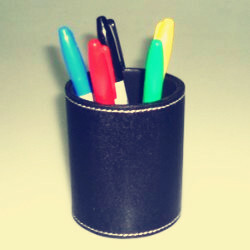 Custom Pen holder, electronic receiver. You need to prepare an AAA,1.5 volt battery and two 3V batteries by yourself. The receiver is in black or white. We send it to you at random.